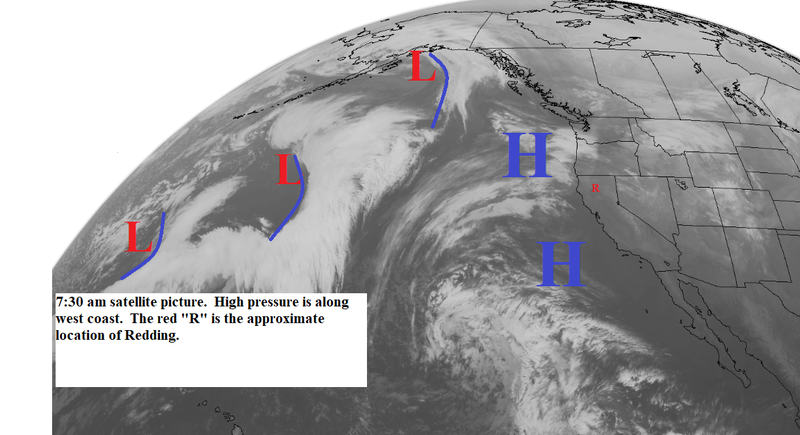 A high pressure ridge is now along the west coast and will hold there for the next 7 to 10 days (see map below). Northern California will be mostly clear with a few clouds in the north from storms moving through the Pacific Northwest. Daytime temperatures will be above normal with locally gusty north winds at times. It looks like the dry weather could last through the first week of February.